When I started working over 25 years ago, (eek) a lunch hour was not only an hour, but was respected by team members. No one interrupted you unless it was a real emergency. Fast forward to today and lunch hours are quite different. It is not often an hour. Interruptions are normal even if you are away from your desk. Mobile phones make it that wee bit too easy to be contactable. 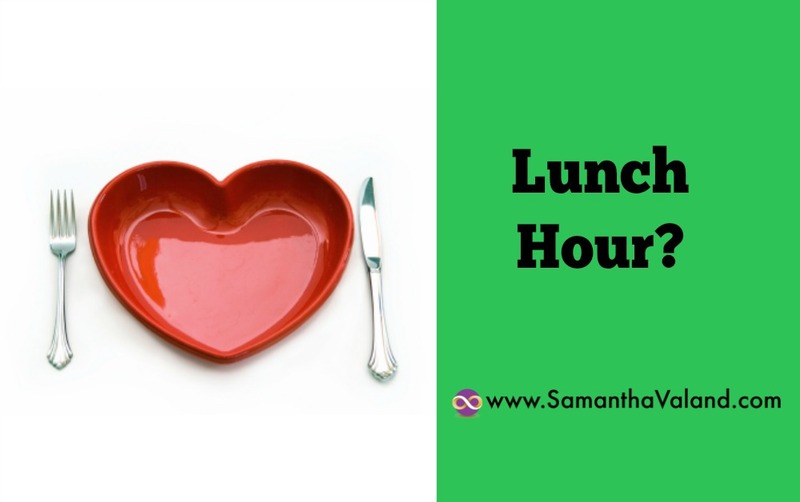 What can you do to improve the quality of your lunch hour? What days can you leave the office? Not all workdays are the same. Perhaps you can plan your lunch away or perhaps you grab quiet days with both hands and get out of the office. Do you take your lunch in or buy it? This is a balance of time before work to prepare or time during the office day to go out and buy something. It usually takes roughly the same length of time, you are just choosing when to spend your time! Be realistic with how healthy and calorific your food is. It may technically be the same as what you would bring in from home, but that does not mean it will be made in the same way. Check food labels where you can. If you are buying take away food for lunch, sitting away from your desk to eat is a great way to have an undisturbed lunch. Pop your phone into flight mode for 20 minutes and take some time to chill and let your brain switchgears. How long do you let your lunch digest? The answers to the above questions can shape this one. Many people spend more time deciding what to eat for lunch, compared to how long it takes them to actually eat it. Then it is onto the next task without letting your lunch digest first. Grumbly tummy anyone? Studies show, that if you multitask while eating, you are likely to eat more. You are more like to stop eating, when you have cleared your plate rather than when you are full. Many women struggle with their waistline in their menopausal years so that last two points can help with that. Getting out for a walk, if you are able to, take in a bit of art or nature. This can help to reduce stress levels. You can be sensitive to stress during the menopause which can add inches to your waist line too. If you are an empath, taking some quiet time over your lunch hour to declutter anyone else’s energy from you. Perhaps a quick grounding exercise to help with the afternoons work and people you work with. How do you spend your lunch hour I would love to hear!